“…Many of them have since suffered an illness classified as an Acquired Brain Injury. There is sturdy scientific proof that ABI can occur after treatment with mefloquine. Scientists from the US military research institute that developed the drugs found that mefloquine was able to cause a “lasting or permanent” brain injury. Other scientists at the same institute found tafenoquine, an experimental drug that has not been registered for sale anywhere in the world, “is more neurotoxic than mefloquine”…. Now that sounds a lot like what happened to many people when they ingested GSK’s Seroxat doesn’t it? Let’s hope this GSK poison (Tafenoquine) doesn’t get past the ‘experimental’ stage? Would you trust GSK to tell you the truth about the side effects? (in particular – brain damaging- neuro-toxic side effects). Seroxat survivors know that too well..
A co-author of the published study has been stonewalling the proposed outreach program for years. Recently, he falsely informed doctorsinvolved in the outreach program that there were “no recorded neuropsychiatric side effects” from tafenoquine; contrary to his original report which found one in eight of his subjects experienced such side effects. VETERANS who believe they have been adversely affected by Defence-sanctioned antimalarial drug trials are angry they were not consulted about the delivery of an urgent “outreach program”. Official letters about the program only began circulating yesterday after the Bulletin revealed last week an outreach program was to be held in Townsville next week for former ADF members and others concerned about mefloquine or tafenoquine. The Department of Veterans’ Affairs told the Bulletin it also planned to begin an advertising campaign for the program from today. Melbourne-based veteran Michael Kruizinga said he was given tafenoquine after contracting malaria on the drug Doxycycline before being given mefloquine on a second tour of East Timor. He recently helped organise a health forum in Melbourne and said people there were desperate for help and would have liked to be consulted on a possible program. DVA said the concept for the outreach was developed by the DVA-Defence Links steering committee. “All material that is provided to attendees of the outreach program will be available online, supplementing current information on both DVA and Defence websites,” a DVA spokesman said. Six sessions are being offered and can accommodate about 50 attendees at the Townsville VAN Office. “The Townsville outreach sessions will be evaluated and this will help inform the Government as to what additional steps should be taken to assist veterans with concerns,” the spokesman said. Retried colonel Ray Martin said the Government made an election commitment to set up an open dialogue, but he believed this had not occurred. “To announce a program with little notice, when many are unavailable, away or on leave, without consultation, input or feedback — from those most affected is very disappointing,” he said. Major Stuart McCarthy in Iraq during 2006. Picture: Courtesy of the McCarthy family. 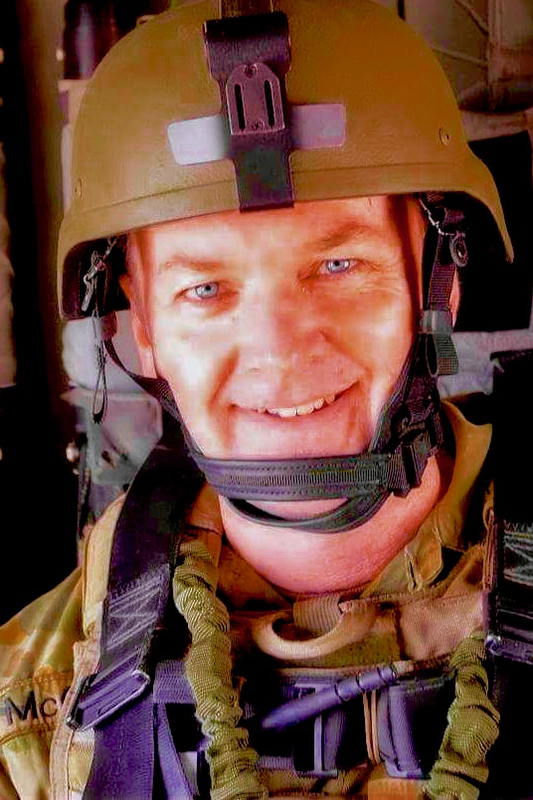 Major Stuart McCarthy, who has suffered from taking the anti-malarial drug mefloquine while deployed overseas, and says the ADF’s trial of the drug on 1300 soldiers was “manifestly unethical”. Documents obtained by Fairfax Media reveal the Therapeutic Goods Administration wrote to senior doctors at the Balmoral Naval Hospital in Sydney to warn they had no authority to acquire or use the drug under existing arrangements. Six months later, the hospital received 13 capsules of tafenoquine from pharmaceutical giant GlaxoSmithKline to use on a 26-year-old on the condition it would not be held responsible for side-effects. The beginning of a letter sent to military doctors by the Therapeutic Goods Administration. The company urged the doctors to contact US Army Medical Research and Materiel Command within 24 hours of serious or unexpected reactions by soldiers. It also told doctors to supply detailed records of patient history and health outcomes. Tafenoquine remains banned in Australia and has been linked to blood cell damage and anaemia. Common side effects include nausea, vomiting, diarrhoea, headaches and eye disease. It was trialled on 461 ADF personnel as part of a clinical trial in East Timor during 2000-01. 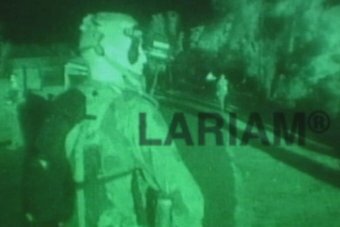 Also trialled was the approved drug mefloquine, or Lariam, which remains the ADF’s third choice antimalarial despite being banned by US Special Forces. The ADF Inspector-General continues to investigate whether any failures of military justice occurred during the trial. A Department of Defence spokesman said the TGA warning related to the treatment of soldiers with recurrent malaria rather than the clinical trials. 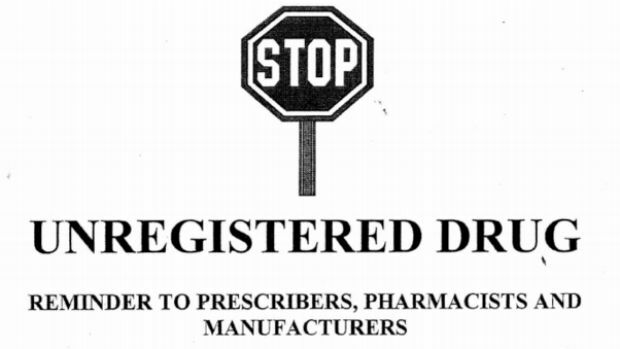 But correspondence reveals Australia’s drug regulator did not shy from expressing concern about the drug. The doctors were eventually granted the drug for “compassionate use” under a special access scheme that judged patient needs on a case-by-case basis. Another 30 ADF personnel were treated under the scheme after a spike in malaria cases during 2001-02. A TGA spokeswoman said the only way to acquire the dug remained the special access scheme. “Were the TGA to become aware that unregistered products were being supplied without obtaining appropriate exemption, the matter would be investigated,” she said. GlaxoSmithKline told the military doctors all patients needed to be provided with information about the drug including alternative options. Written consent forms were also required. “An integral component and condition of approval for supply of an experimental drug is the documentation of safety and efficacy data,” the letter said. Patient outcomes were recorded by military doctors at the Australian Army Malaria Institute and published in the American Journal of Tropical Medicine and Hygiene in 2007. According to the journal article, the authors were full-time ADF employees and received funding from GlaxoSmithKline to present their findings. They insist no other potential conflicts of interest existed. 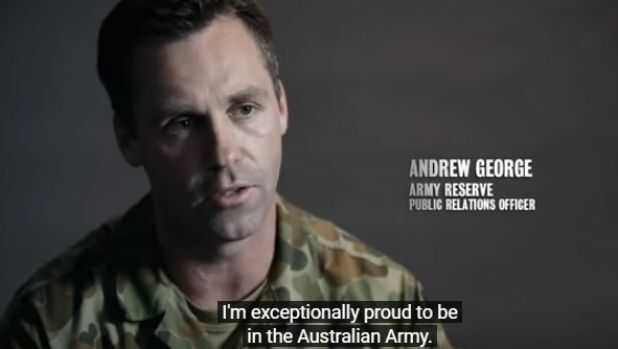 Andrew George, a former infantry soldier and public relations officer with the Army Reserve, was treated with tafenoquine in Sydney and claims it left him with damaging side effects. Mr George, who features in promotional material for the reserves, said he was given the drug after being diagnosed with malaria but does not recall giving informed consent after a detailed explanation of the drug. He is one of many veterans seeking answers about the drugs with many believing it complicated their diagnosis and management of post-traumatic stress-disorder. “I am still proud of my service,” he said. “I am proud to have done what my dad did – a Vietnam veteran,” Mr George said. Australian Defence Medical Ethics Committee documents, released late last year under freedom of information laws, showed the ADF was concerned about whether the trials were properly explained to soldiers. Since the release of the document, the Department of Defence has made a catalogue of information about the trials and the drug available for veterans online. Surgeon General of the ADF, Air Vice-Marshal Tracy Smart, has also met with veterans at a community event in Townsville and insisted the military was being transparent as possible. Last month, a senate committee called on the Australian Defence Force to explain all potentially damaging side effects of the antimalarial drugs to every veteran or soldier who has taken them since 2001. The Australian Defence Force has acknowledged it accidentally exposed one of its soldiers to controversial anti-malarial drugs during trials in East Timor, despite the soldier having a medical history of mental illness which should have precluded his involvement. The soldier, Chris Salter, developed chronic depression and psychosis after inclusion in the Timor trials of psychoactive drugs mefloquine and tafenoquine. His illness has led to repeated suicide attempts and more than a dozen stays in psychiatric hospitals. He is unable to work or care for his family. 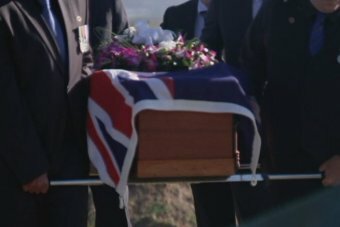 Since the trials, which included thousands of Australian soldiers between 2001 and 2003, a small group of veterans have developed severe mental illnesses. They believe the ADF erred by giving them the drugs even though there was a significant body of research which pointed to the drugs’ side effects, which in some cases are permanent. The letter to Mr Salter is the first public case of the ADF accepting it made mistakes during the Timor drug trials. It may open the way for other veterans to seek similar apologies and could lead to compensation. Defence only began to scrutinise Mr Salter’s case after 7.30 aired an interview with his wife Lavina Salter two months ago. “Following the disclosure by your wife on the 7.30 Report (sic) in June that you were prescribed mefloquine despite a history of depression, I determined that I should conduct a review of your medical documents,” the ADF’s Surgeon-General, Tracy Smart, wrote in a letter late last month. Photo: The funeral of East Timor veteran Chris Stiles, who was given anti-malarial drugs. Ms Salter has become a vocal critic of Defence, and says the ADF has failed to provide assistance to people who are suffering chronic illness as a result of taking the drugs. After her husband received his letter she asked people in a mefloquine and tafenoquine support group on Facebook whether anyone had a similar experience. “I’ve had three or four responses of people who’ve come back and said yes, they were diagnosed with depression and didn’t have a medical to see whether they were eligible [for inclusion in the drug trials],” Ms Salter told 7.30. All those veterans could be eligible for formal apologies and compensation. The high stakes of Ms Salter’s campaign for recognition were highlighted two weeks ago, when one of the Timor veterans, Chris Stiles, took his life. Since then a group of mefloquine and tafenoquine-affected veterans in Townsville have told 7.30 of their anger over the death of Mr Stiles, who was given the drugs and experienced a significant downturn in his mental health. “It’s happening to a lot of people, it’s not just Chris. Chris is just the latest one, and it will continue happening,” said one of Mr Stiles’s Timor colleagues, Colin Brock. The veterans say Defence and the Department of Veterans Affairs have failed to provide meaningful assistance and have left many who served in East Timor to shoulder the burden of mental and physical illness caused or exacerbated by the drugs on their own. Defence has been approached for a response. Mr Brock helped carry Mr Stiles’s coffin to his grave a week ago. He was one of two of the pallbearers who were given the drugs in Timor and have since developed mental illnesses that have seen them admitted to psychiatric hospital suffering a host of mental and physical symptoms. Mefloquine — also known as Lariam — and tafenoquine are psychoactive anti-malarials that, according to the World Health Organisation and neurological researchers, have a history of links to severe depression, anxiety, irrational anger, memory loss, suicidal thoughts, psychosis and hallucinations. Across the world militaries are seeking to ban or limit the use of the drugs, given serious concerns about their side effects. In 2013 US special operations forces banned the drugs after the Food and Drug Administration issued its highest alert — a so-called “black box” warning. “Neurologic side effects can occur at any time during drug use, and can last for months to years after the drug is stopped or can be permanent,” the FDA said. Last year a UK parliamentary inquiry found the Ministry of Defence prescribed the drug too liberally and recommended it be redesignated as a “drug of last resort”. The ADF’s Inspector-General has launched an inquiry into the East Timor drug trials. He is due to report by the end of this year. Defence has so far refused to commit to reporting publicly.